Managing finances, invoicing for products or services provided, and other financial tasks may not be alluring aspects of starting a business, but they are undoubtedly key requirements for running and scaling it. While established companies or even startups with deep pockets have the luxury to hire a large finance team or implement systems to automate finance function, it’s often a budget that small businesses cannot afford in early-stages of business. Being an SME themselves, -based IT solutions company was quick to realize that using large accounting systems required a “long curve of learning,” and needed users with prior experience with such software. In case you are wondering what’s unique about a startup creating a financial software, consider this: after launching its SaaS accounting product in 2011, Sahih Business decided to go one step ahead in 2013 with its flagship product – the “first” Arabic cloud-based SaaS accounting software for SMEs. to support the Arabic language from the beginning, and not translated or “hacked” to poorly offer it,” he explains. The is specifically tailored for small businesses and freelancers, allowing them to create and customize invoices, maintain accounts, manage clients, and track financial progress, among other functions. Aliphia also offers personalized financial reports on its dashboard, and supports Arabic text formatting, including Persian numbers. As for why they decided to create a separate Arabic solution, Morabet says, “We should consider that only a few languages are actually written from right to left in the globe, meaning that a translation is required to have your software ready, and that was never a priority for software vendors, due to the market requirements.” But governments across the MENA region have increasingly been adopting Arabic as a legal mandatory for businesses. For instance, in the UAE, Dubai’s has instructed commercial establishments to use Arabic as the main language for receipts and invoices by 2017, in addition to a language of their choice. Morabet’s passion for web design, and his work experience of over 10 years in Morocco and Spain’s SaaS market, kept him going as he spent nearly three years in developing and refining his product, a process in which he was ably supported by co-founder and CMO Asmae Bouabdellah’s marketing expertise. Being a firm believer of a “solid business model” and “strong product,” Morabet says that the startup continues to build varied value-add features, and has structured itself to suit both product and services businesses. Following a freemium Aliphia accepts e-payments thanks to its integration with digital systems, such as PayPal and 2Checkout. As Morabet puts it, the company’s mission goes beyond selling software, and it is keen on providing a full stack support for small businesses to scale. 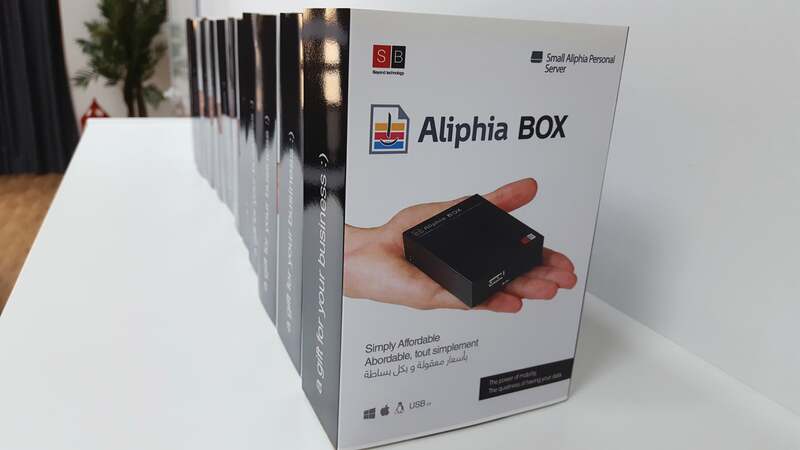 In line with this, Aliphia is also offered in local mode- clients with poor connectivity can enjoy the same Aliphia experience even without an internet connection with Aliphia BOX, a server that hosts Aliphia in LAN/WAN. Aliphia product.Image credit: Sahih Business. Growing from feature to feature, Aliphia now counts an average of 14,000 active users for the product, and has crossed the 500 customers mark just last quarter. Going by flow of orders, the company expects to reach over 1,000 customers at the end of 2017. While it supports bookkeeping in Arabic, English, Turkish and French, Morabet says an average of 3,000 Arabic invoices are created each month on the platform. is its biggest market with a 74% share, and the startup also has users in Egypt, the UAE, Kuwait, Libya, Jordan, Palestine, and Yemen. Bootstrapping and re-investing revenue back into the business, Aliphia is focusing on growth through partnerships with key players in online payments, finance and telecom in KSA and UAE, in the coming year, and is also working on implementing their software on third-party products. 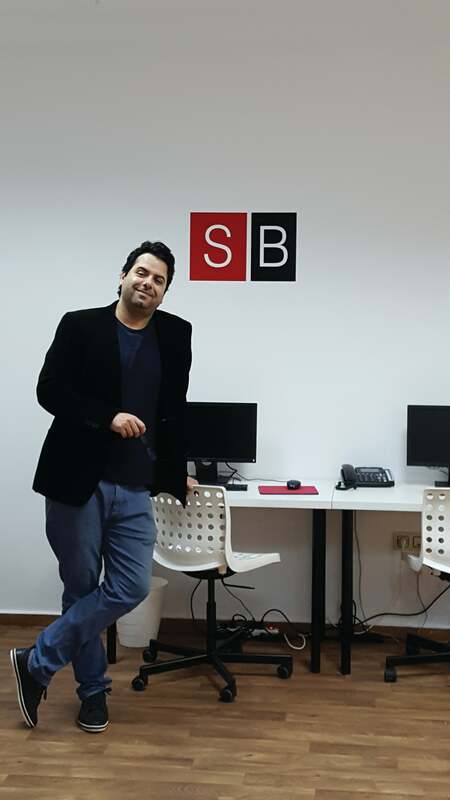 Mohammed Adnan Morabet, co-founder and CEO, Sahih Business.Image credit: Sahih Business.